Engine troubles and repair. Dirt road enduro motorcycle riding through native forest river valley. 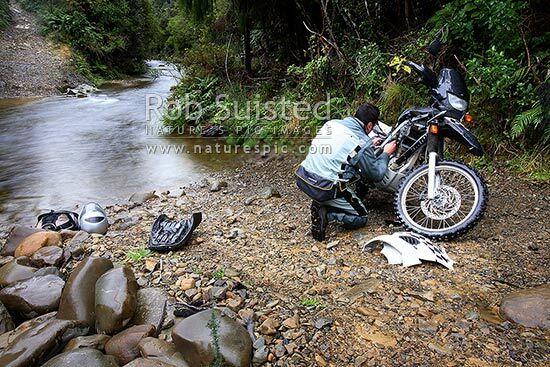 BMW F650Gs Dakar, Akatawara Valley, New Zealand (NZ), stock photo.